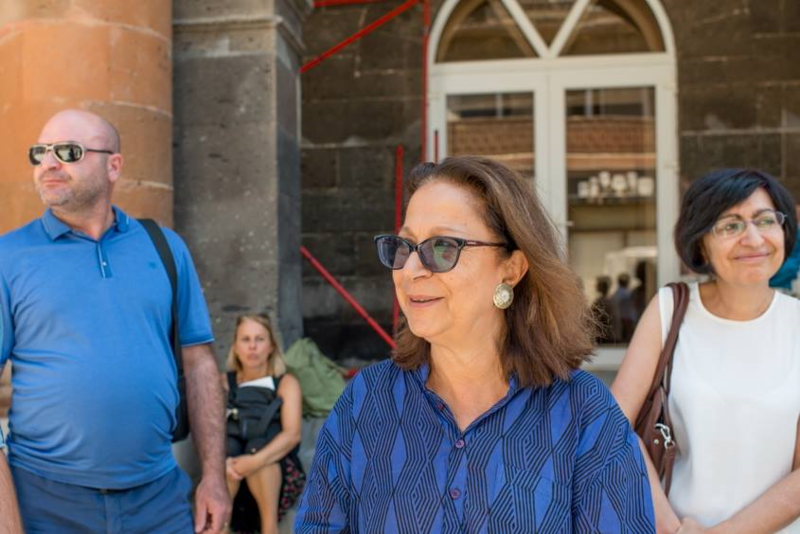 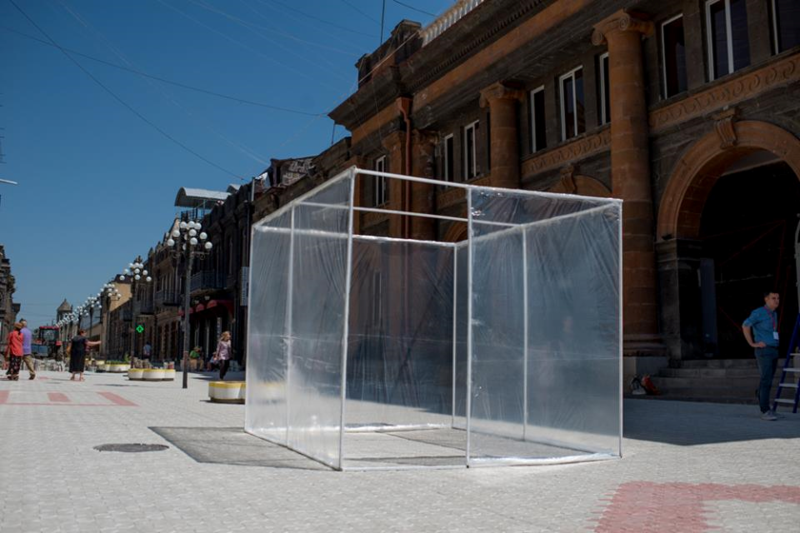 On July 22, the opening day of STANDART Contemporary Art Triennial in Armenia, Gohar Smoyan performed “An Alternative, Transparent’’. 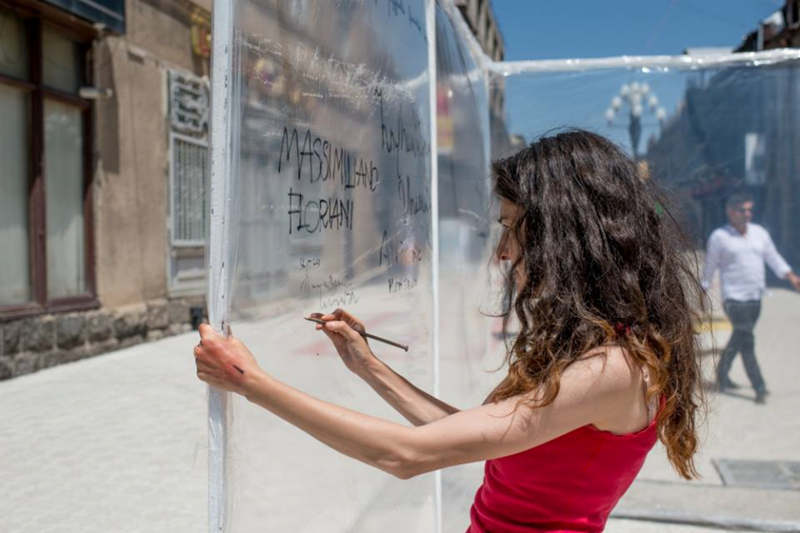 This was the third and last of her performances that took place in Gyumri, Yerevan and Vanadzor in summer 2017. 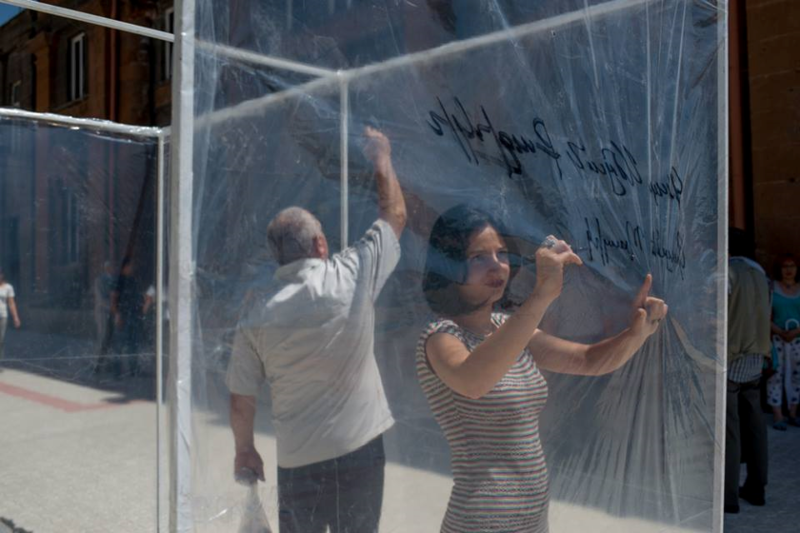 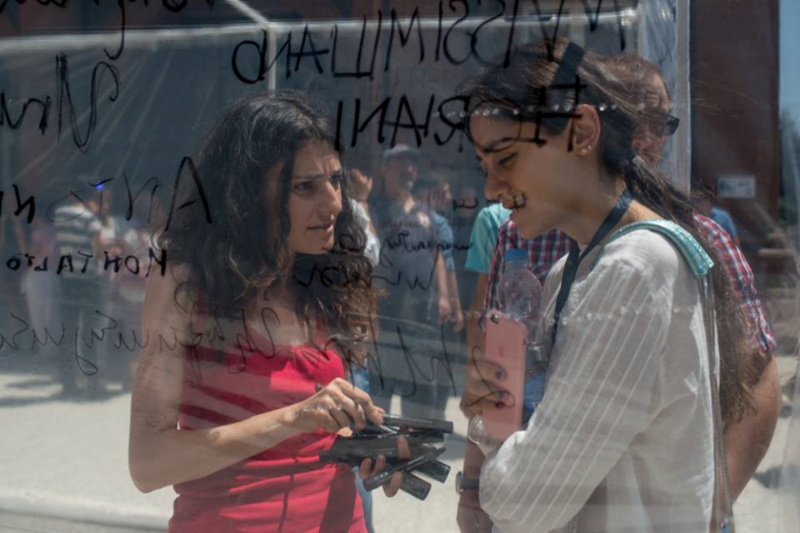 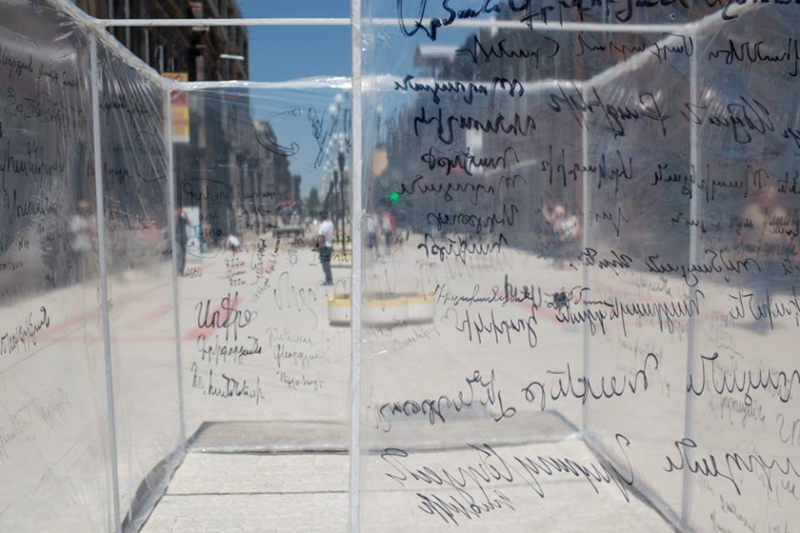 A transparent mobile cube was to welcome visitors and their written objections and statements on its walls thus representing their attempt to participate in the formation of the civil society. 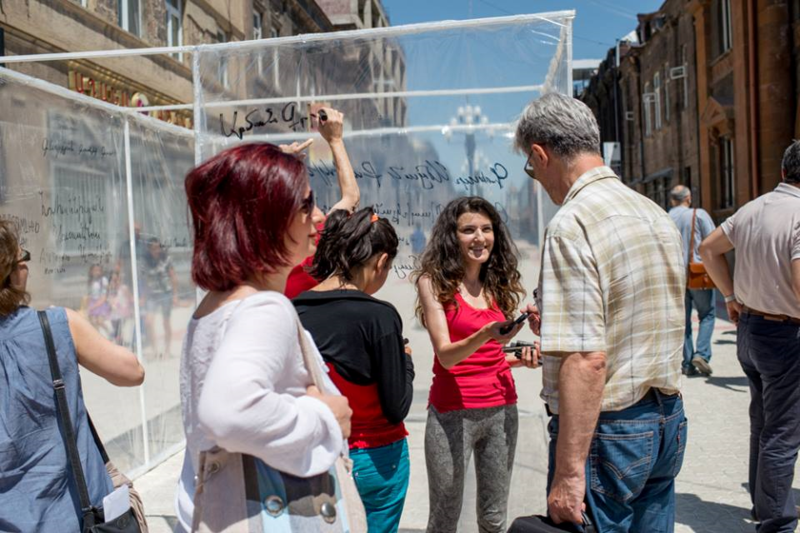 The project is realized under the Financial Support for Art Projects program of Armenia Art Foundation.